The easiest way to report a pothole issue is to download and use the “Nassau Now” phone application on your smartphone or mobile device. This free app allows you to take a photograph of the pothole area and send it to the Highway Department with the GPS location. Of course you should only use it if it is safe to do so. NEVER use the app while driving. If the road is not one that is maintained by the county, the information will be re-directed to the correct municipality. As always, please take care when driving. Drive slowly and try to avoid potholes all together. 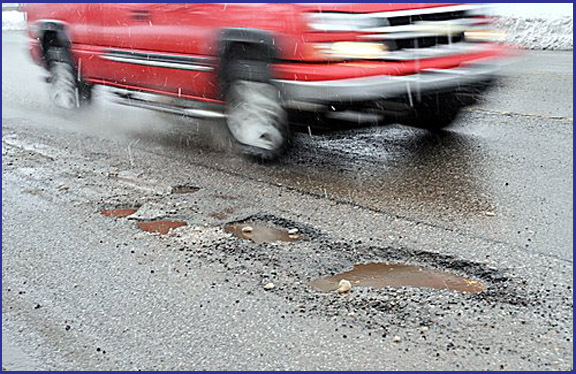 If you cannot avoid the pothole, reducing your speed can help avoid tire damage.